If you use your glo sim basically for Internet subscription like BIS and you are not on the glo bumpa package than OYO has been your case lol. Come to think of it, wouldn’t it be nice if you recharge 1000 naira for glo blackberry subscription and get 2000 Naira worth of airtime free as bonus? It’s more or less like you are getting your money back and subscribing to glo bis plan for free. If you are just hearing this for the first time then I really feel for you lol. You have been throwing lot of credit airtime away to the dustbin. I have been rocking this for months now and I always feel happy when I want to recharge my glo line in other to subscribe to glo bis which I use my glo line basically for. Please Note: Call rates on glo bumpa package are charged at 50K/sec (50 kobo per second) to all networks. You will only enjoy the package if you use your sim basically for subscription as calls are very expensive. Call rates at 50K/sec will amount to 30N/min. The only amazing part of this plan is that you get double of what you recharge. For example, if you recharge 500 Naira, you will be given an extra 1000 naira which is the bumpa bonus and if you recharge N1000, you get an extra N2000 making a total sum of N3000. If you then subscribe to glo bis plan with N1000, you are left with N2000 which you can use for calls and text messages. To Migrate to Glo Bumpa package, simply dial Dial *100*10*1#. If you are one of those who are already rocking their glo bumpa plan but do not know how to check their bonus credit balance, here is how. Simply dial #122*2# and send. 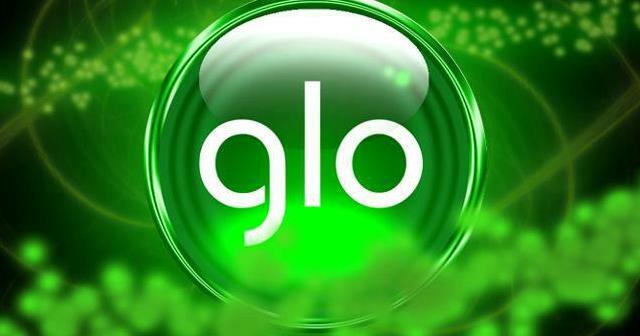 I will say it again o, if you are not on glo bumpa package and your line is used basically for internet subscription, you are on a loooooooooooooong thing lol. BTW, OYO means On Your Own. Ah swear, am rocking this bumpa badly am enjoying it oooo, gimmi ur number lemmi call u, bro send me rambbo film lemii download, if u flash me i will call u.
Hi Rotimi, I also use mobile banking in funding my account sometimes and usually, I’d also get 200%. However, I am not sure that happens all the time. just came across this. Samuel please confirm that you will only get the 200% recharge when you load a physical card but 100% when you load from your account or other electronic means. Usually, I load from my bank and I only get 100% bonus and I was just told my a glo customer Rep that the 200% only applies to physical card lpading. How can I deactivated this stupid bumpa? Pla………. Anas, just migrate to another plan on the glo network. Thank you for the goodwork sir.I joined the bumpa plan yesterday and it was confirmed.I then loaded N1000 and no bonus was given me.what do I do sir.thanks. Pls ,I want 2 knw if bumpa bonus is stil working. @Radiance from experience bonus no dey work if you recharge online. Promos are generally for recharge card users only. To be candid, I can’t really ascertain because I haven’t used that medium in recharging ever since i’ve been rocking the bumpa package. Dial #122*2# then call and tell me what you see. Am affraid to activate the Glo bumpa,due to what they are chargin 50ksecs. Well, as earlier advised, it’s only idea if you use the sim basically for internet subscriptions. Please reconfirm if you are on bumpa because bonus airtime are still given on every recharge. Dial #177*2# to see your bonus airtime. Just migrate to any other package on the glo network and you will be good to go. I just migrated. But seriously man, I am REALLY angry at you because I have been using the glo bis for several months now. I subscribe twice in a month; now calculate the amount I have lost since then. It is you who will refund my money ooo or else……..
Pls sir is this airtime transferable? I am afraid no. Its a bonus airtime and can only be used for calls and text messages.